California hardly conjures up an image of a wine region struggling with an identity crisis. But there are areas of the Golden State that have never fully defined a winemaking niche. A consortium of Mendocino County winemakers are counting on a Zinfandel blend called Coro to create market buzz. The Coro Mendocino group claims it is the United States’ first proprietary blend. “Coro” means “chorus” in Italian and Spanish, best illustrating the cooperative effort. 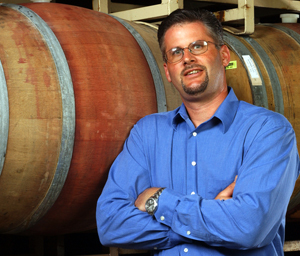 Dolan, who worked at Fetzer before buying into Parducci, also produces his own line of wines. He started working on a blend at Fetzer in the 1990s that featured Zinfandel and Petite Sirah before joining Dennis Patton, now the winemaker at Golden Vineyards, to create Coro. The key to Coro’s early development was the winemakers’ shared attitude to make Coro something special. The production protocol requires the Coro to have a minimum of 40 percent and up to a maximum of 70 percent Zinfandel. The approved second tier varietals may not exceed the percentage of Zinfandel. Those second tier wines are Syrah, Petite Sirah, Carignane, Sangiovese, Grenache, Dolcetto, Charbono, Barbera, and Primitivo. Wine makers can then add up to 10 percent from any single or combined vinifera source. And, of course, all of the grapes must be grown in Mendocino County. Protocol requires an alcohol level between 12.5 and 16 percent, minimum of one-year barrel aging, use of a Coro label, and approval of a five-member selection panel. There can be no protocol parameters on the wine’s cost, by law, but most of the current members sell their Coro near the $37 price point. 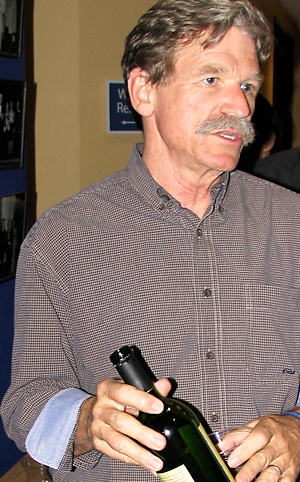 The first vintage was 2001 with winemakers currently selling the 2006 and 2007. The 2008 will be released this summer while the 2009 just went through the first of two pass/fail tastings. “It took quite a long time to iron out those production protocols,” said Julie Golden, Golden Vineyards. “We discussed how we’re going to keep people doing what we wanted to do. We have quarterly meetings. We refine the protocol and define roles. Current Coro producers, as listed on their website, include Brutocao, Fetzer, Mendocino Vineyards, Golden, Graziano, McDowell, McFadden, McNab Ridge, Pacific Star, Parducci, Philo Ridge, Barra, and Weibel Family Vineyards. Each winemaker creates a blend that doesn’t just represent Mendocino but also their own individual styles. “Mendocino has a strong Italian heritage with Sangiovese, Barbera, Primitivo, and Dolcetto,” Philo Ridge winemaker and owner Fred Buonanno said. “But we are using grapes that have been traditionally grown here, hence our signature Zinfandel but also Syrah, Petite Sirah, and Grenache. But with the Zinfandel requirement dipping as low as 40 percent, winemakers can use “all the spices in our rack,” Parducci said. “Usually, I run through all the wines I’m considering for Coro (three or four Zins, Petite Sirah, Syrah, Pinotage, Carignane, and Grenache Noir), tasting each and visualizing how each would work in the blend. Some never make it past that point; they don’t have what it takes or what I think it takes to be Coro. The Parducci family has made wine in the region for more than 75 years so he relies on historical insight to numerous Mendocino vineyards to source his fruit. All of the producers talk enthusiastically about the cooperative effort exceeding expectations. But Buonanno knows Coro has to expand to be successful. The Coro consortium does not submit the wines for review and is self-funded, limiting marketing abilities. “What we have to do better is evangelize Coro to our brethren,” he adds. Dolan, one of the biggest names in the Mendocino region, still finds the cooperation amongst producers to be Coro’s biggest achievement. “It was a super pleasant surprise,” Dolan recalled. “When we were going through the process of trying to identify varieties and looking at the label I was shocked they decided to use the same look and feel. Howard W. Hewitt is a former career journalist who writes a bi-weekly newspaper column in Indiana. 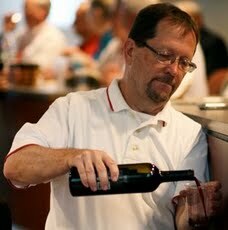 he also writes about value wine on his blog, Grape Sense – A Glass Half Full. Don’t miss the 2008 CORO Vintage Release Dinner, June 25 at the Little River Inn. For the price you enjoy a fantastic dinner, meet CORO Winemakers, overnight on the Mendocino Coast, & walk away with a bottle from each of the producers. The dinner is an annual sell-out so visit COROMendocino.com soon to find out more & reserve your seat. Cheers! I wish the Coro vintners the best of luck. Rich Parducci happened into a deli where I was eating lunch a few months ago while he was in town on a work along. We got to talking and he poured me a few of his wines. While his Petite Sirah is a slamming deal, the Coro is going to rely heavily on the story Hoawrd tells here in order for consumers to swallow the $37 price tag. As a collaborative example in raising awareness of a region, it is certainly a unique. I hope it works! It will be summer before I can make it up that way. for the result of their Labors. Best of luck with the Coro… Should be great. Glad to see people working together.